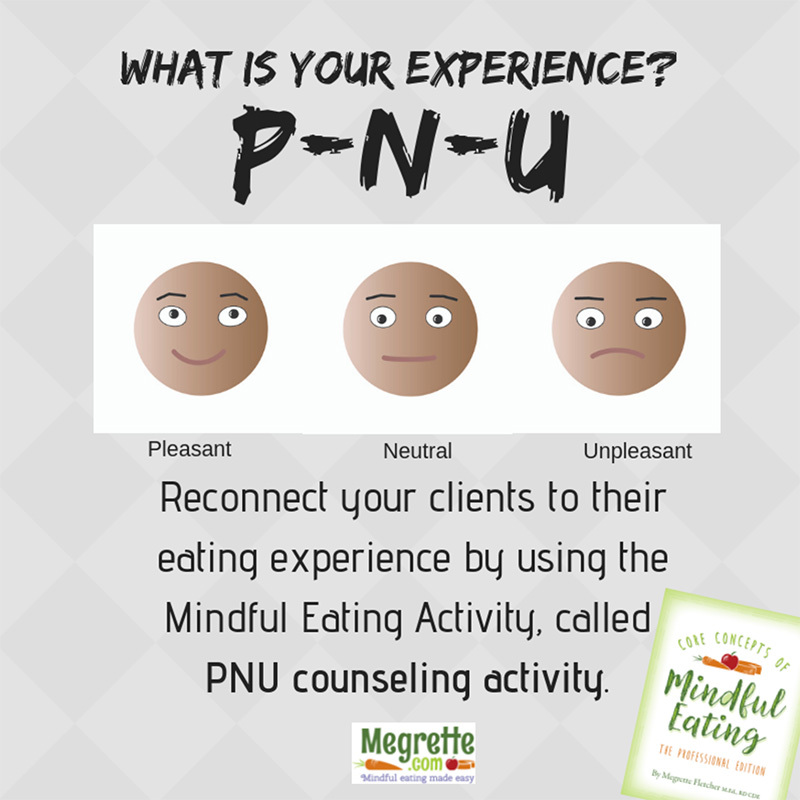 Mindful Eating provides a professional with a unique set of tools. These are not the tools of knowledge, facts, or data, but the information from our direct experience. This embodied experience is powerful to introduce in a counseling session. One of my most beloved counseling tools is asking a client about his/her/their experience and to group experience as pleasant, neutral, or unpleasant. When you focus on the client and the client’s experience, you are strengthening your counseling relationship. To learn more, check out CCME.